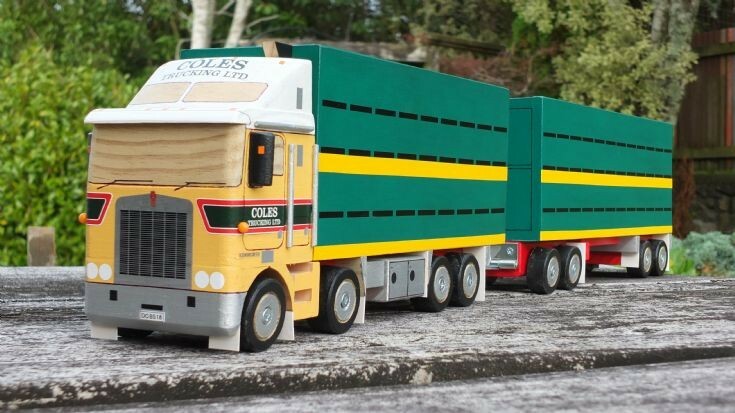 Transport Models - Kenworth cattle from New Zealand. Kenworth cattle from New Zealand. A wooden model of a Kenworth cattle truck and trailer unit found on New Zealands roads.This one was built for the owner of the truck.He was impressed by the detail I put into it.Photo taken mid 2016.